China Tour “…She gave us wings to spread it all over” | Realise the World! Day 4 on tour and now I know, I feel it within, there will be life before The Realize China Tour and life after… The intensity of what I see, the beauty of what I feel is a life changing experience. For a start, nothing can beat being together with your brothers and sisters and give self realization, spread love and Vibrations and move a step further toward our beloved Mother’s vision. Each moment I experience here is a pearl of joy, of expression of love, a tidal wave of Vibrations. Mother is doing it all and we only happen to be there with the unique single purpose of enjoyment. The first pearl has to go to this incredibly innocent student, preparing her master degree in physics in Shanghai. She just looked like a child. She came to me after the concert and said “when I close my eyes I can feel what you want me to feel inside”. When you are on the stage with your own limitations and you look at the crowd trying to connect with them all you can see is open faces, smiling from their heart, pouring their love and gratitude on you. We are not talking about a few people here! We are talking hundreds and hundreds of Chinese brothers and sisters, children, grannies pouring their love on you through their shiny eyes. I’ve never experienced this before in my life. It makes you fly. The joy explodes from within. You cannot stop smiling and they smile right back at you even more. There is no end to the joy. Joy is infinite and Shri Mataji our divine beloved Mother has blessed us by making us part of that infinity. The second pearl is going to the entire Nanjing experience. Nanjing is a difficult city because of its very painful history. Over a million of Chinese were killed in a massacre conducted by Japanese in the 30s. So our left side was being tested there. But strangely, the all city was emanating beauty and peace. Big trees everywhere bringing their cooling shade on the streets, fountains, peaceful inhabitant wondering around. We spent the afternoon in the 9th middle school for a cultural exchange: some of the music student performed for us and then we performed for them. The school is famous for its art (painting and especially music) and basketball. Before the concerts we were invited to attend a painting workshop. A few of us entered a classroom nicely set-up. Each of us were given a brush made of sheep wool, a beautiful porcelain bowl filled with water, a piece of thin paper and a palette with black ink and a bit of red and blue paint. The art teacher gave us a small lecture kindly translated to us by Amy and Lili and shown us step by step how to paint a cherry blossom. The flowing movement of the brush on the paper, the subtlety of the different shade of grey as you add water to the black ink, the gentleness of the added touch of colors and the sweetness and calm of that art teacher all contributed to put me in thoughtless awareness. The class lasted about 1 hour but we were in such a peaceful state that most of us did not want to leave the classroom. It was like being in meditation. The concert in Nanjing had something special. I felt it coming even before starting. The historical theatre could seat 1500 people and was majestically seating, in a peaceful dead end in front of a massive fountain where we had time to relax and connect with the locals while eating dumplings made by one of our adorable Chinese sisters. Sitting on the stage while waiting for Tony to finish his magic with the sound system the seats were already feeling-up and all the sweet face making us feeling at ease. I don’t know what happen there but the joy expressed completely within me and all around where ever I was looking. It was an explosion of joy and vibrations on mass! I’ve never seen an entire audience dance on Ida! An entire audience of over 1000 people! Once again it makes you fly. Not only you smile but you can’t stop laughing after the concerts. You’ve received so much love that you start seeing everyone and everything from your heart; and nothing else matters. A beautiful student rushed onto the stage with lots of others as soon as the concert was finished wanting their photo to be taken with the MOJers. This discreet, humble almost shy young lady told me “I’ve never felt so much joy in my life”. A young man came to me and said “is this your master peace”? I had to make him repeat a few times as I was not sure what he meant; And then when I finally understood he was speaking about Mahamaya Mahakali badhjan, I said “Oh no we have many songs like that”. The expression on his face gave me a big laugh and he said “Oh, really many songs like that?” completely amazed. 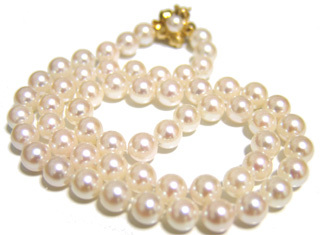 With Shri Mataji’s blessing I will try to keep adding pearls to my necklace to share with you all my dear brothers and sisters, this amazing journey, the Chinese vibratory experience, Mother everywhere in everyone.